Well, folks, the date we all had crossed on our calendars is finally here – MWC 2015 begins today, and we are excited to see what all the manufacturers here have in store for us. Our team is on-site and we are ready to crunch through all of the information, making sure you guys don't miss out on anything. Now, there will be a lot of demonstrations from various types of companies, there's no doubt in that. So, to help you stay on-track with the biggest players, we've compiled a schedule of the most notable happenings. Of course, we will be attending them, letting you know what's up as events develop. If any schedule changes should occur, you can rest assured that this list will be properly updated. Here's the schedule! 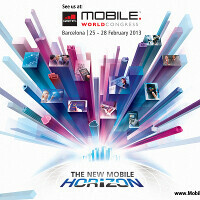 Are you excited for this year's MWC? Sony holds no events, only exhibition. It would be nice to put some European timing in that chart since the WMC is in Spain. Εntiendes? So sony won't do a live show as they leaked before ?? Why are you only showing Pacific time and not the local time? Because we're in America and the event is in Barcelona. So who cares which time zone they display? If you're an English speaking American, you should be able to know the difference in time zones. where is LG?? i think they introduced urban watch? People pay more attention to HTC and Samsung's events. Is Microsoft really going on at 1130 PM??!! No way I am staying awake for that.